Are you torn between a couple of Rogue’s glute ham developers? This guide is for you. As I always try to do it, this is my advice based on what you will not find on the product pages, and things you never would have thought to consider until after you bought, assembled, and started using it. Better to know before. If you haven’t used a GHD, get with it! Glute ham raises are one of the top 10 badass posterior chain building exercises according to Dr. John Rusin. Although it’s sometimes called a GHD machine or glute ham machine, it’s more properly called either just a GHD or a GHD bench, because it does not have moving parts to control resistance or range of motion like a weight machine. Let’s start with the most expensive and work our way down. The fully welded base counts for something. The more welding you have on a piece of gym equipment to replace bolts, the more stable it will be under a high enough load. Bolts, when properly tightened, are fine, but bolt holes are not snug, and therein lies the potential for some play. The fact that it’s fairly heavy means the footprint is smaller than other models. Good deal. Fewer things to trip over. As a bonus, they added a non-slip step-up plate on each side. This eliminates your need to stand on the frame cross piece like the Abram to climb up. Another unique feature is the bottom foot rollers are angled down. It doesn’t seem to cause your feet to slip out, but it makes it easier to get them in. It would be nice if they did something about those steel caps on the roller ends. Banging your ankles against those wears you down. Finally, it has the same adjustment mechanism as the Abram 2.0. This is about as user-friendly as it gets. This beast ships fully assembled. At first I thought, ooh that’s gonna be some expensive freight. Freight costs are mostly about dimensions, ie: how many shipments they can fit in one truck, and not so much the weight. I checked shipping to California and it’s $211. Less than I expected for such a bulky unit! Still, over twice the shipping cost of the Rogue Abram, so you’re adding another $111 onto the cost. Check out its small footprint, 34″ x 62″, compared to the Abram at 44.5″ x 73″. The more heavy duty a unit is, the less of a splayed-out footprint you need for stability. It could make the difference between fitting another unit in a limited space or not. All in all, there’s nothing wrong with the Monster. It’s a great design. But is it a more expensive GHD than you need? Most likely. If you spend any time at all shopping for GHDs you’re certainly going to come across this one. It’s at the heavy end compared to others. 222 lb, with 2″x3″ 11 gauge steel. 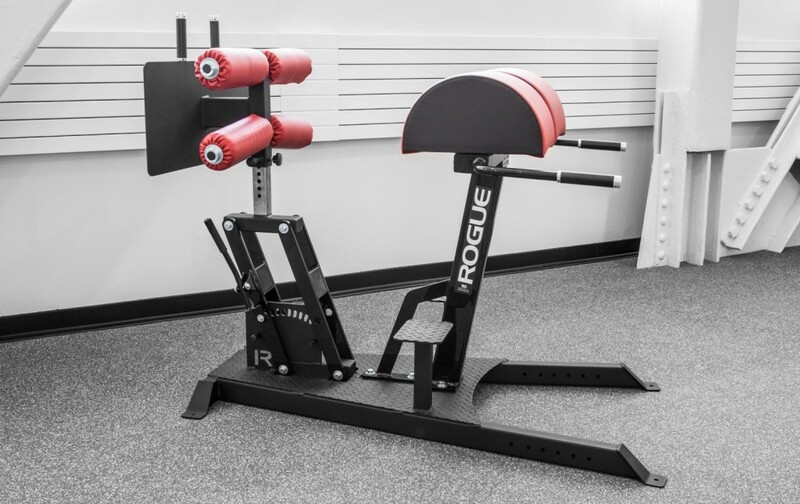 Version 2.0 of the Abram GHD copies the swing arm feature from Rogue’s Monster model. The original Abram GHD, made before the Monster, was more like the GH-1. This design with the swing arm gives the added benefit of a lower center of gravity to help prevent tipping. I doubt that would be an issue regardless. I like the swing arm adjustment. Nice and smooth. It doesn’t have the handle that the Monster unit does, so you do need to bend over to grab the pop pin, but otherwise it’s pretty much the same. You get about 5″ of height adjustment. Each user shouldn’t need to adjust it much, if at all. It’s more of a preference setting, not dependent on a person’s height or body proportions. There is no step-up plate. You have to use the horizontal frame as your step. The GH-1 was built after the more expensive Rogue Abram, as a cheaper model to reach customers who couldn’t quite stomach the cost. It also looks more like the original Abram GHD (1.0). The Abram is now in version 2.0 with significant changes. Now the GH-1 isn’t the one they recommend for commercial environments and is more like one you would use to do the glute ham raise at home. The horizontal adjustment mechanism of the GH-1 is pretty standard. Pull the spring pop pin to release the carriage and slide it along the frame to adjust to the desired distance of your feet to hips. The hand screw then tightens it in place. One person complained that you have to screw that sucker really tight to prevent it from wobbling. Sounds annoying. You would see a gap between the steel pieces if it was riding on a bushing hiding in there. There isn’t one. Be warned that the carriage slides right against the bare frame, steel on steel. There is no bushing in it to protect it and smooth out the adjustment. Be ready for scratches. I love how Rogue’s own video says how “easy to adjust” it is while he simultaneously struggles with jerking it back and trying to get it lined up to a hole. In comparison, the Abram 2.0 uses a swing-arm horizontal adjustment with no hand screw needed to make it feel stable. The swing arm design also means a lower center of gravity of the frame, a good thing for a touch more stability. The steel tubing includes some 2×2 tubing, rather than all 2×3 like the Abram. 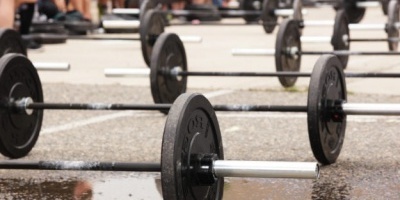 2×2 is what’s used on cheaper equipment, from benches to machines to power racks. It has the potential to wobble more. Steel flexes, and the smaller tubing allows more of that. It’s 195 lbs, still fairly heavy as GHDs go. Wheels not included! You have to pay another $36.50. Rogue offers the Echo series of products as their low end, budget option. The Echo GHD against a rig, which is one of a few pieces of equipment you can attach it to. The Echo GHD is not stand-alone. It is meant to make the most use of your existing equipment and your space. It’s meant partly for people who have that stuff and want a way to do glute ham raises without adding a dedicated full sized unit that stays in the way. 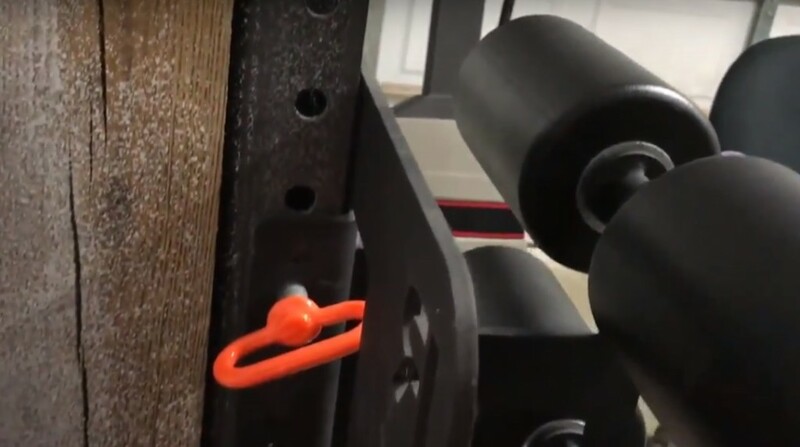 It’s the same principle as adding something like dip handles to a power rack instead of a dedicated dip station. With the Echo GHD you need at least 2 things: Something to attach the foot roller to, and a cube plyo box to attach the hip pad to. I’ll get into those details. This is what actually comes included, if you don’t get the optional parts. It reminds me of the “partner GHD” that MuscleDriver (out of business) sold, sitting on the floor and requiring a partner to hold your legs. 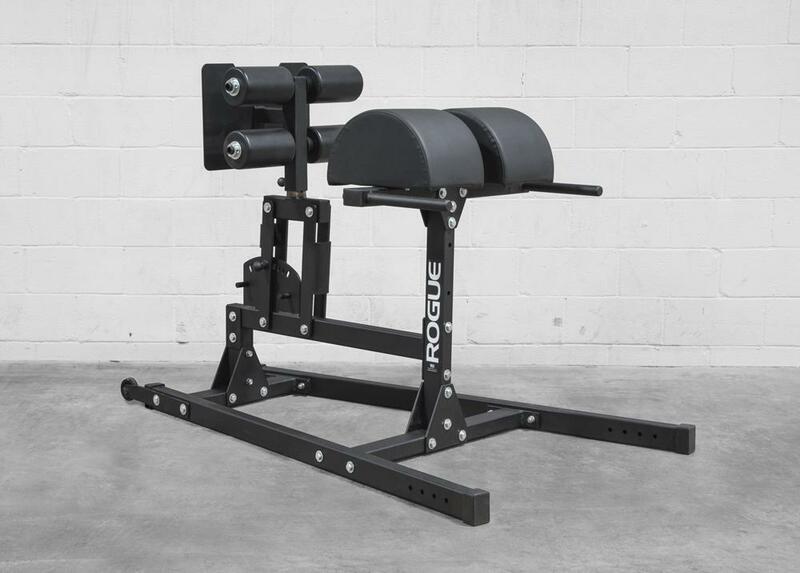 Rogue took the pad model and found a way to make it into a normal functioning GHD if you have the right equipment. The top of the hip pad is only 39″ high, compared to 43″ on their full size models. For glute ham raises or sit ups this is meaningless. For hip or back extensions, taller users will hit their heads on the floor. That’s why GHD units are normally so tall. 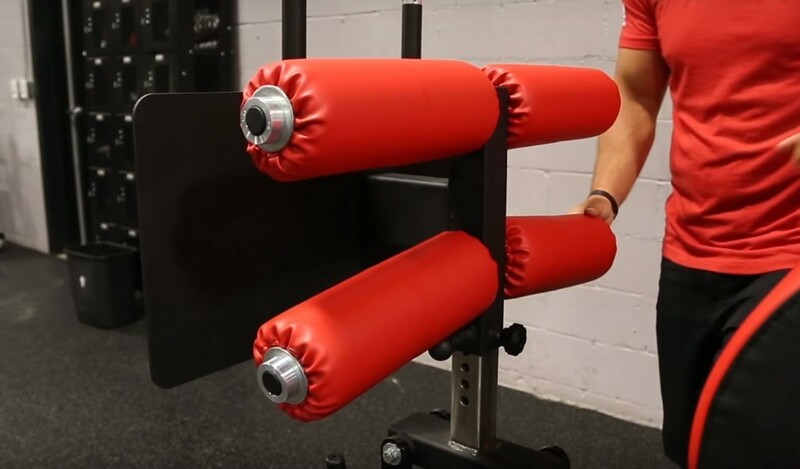 The foot roller can attach to a variety of racks. 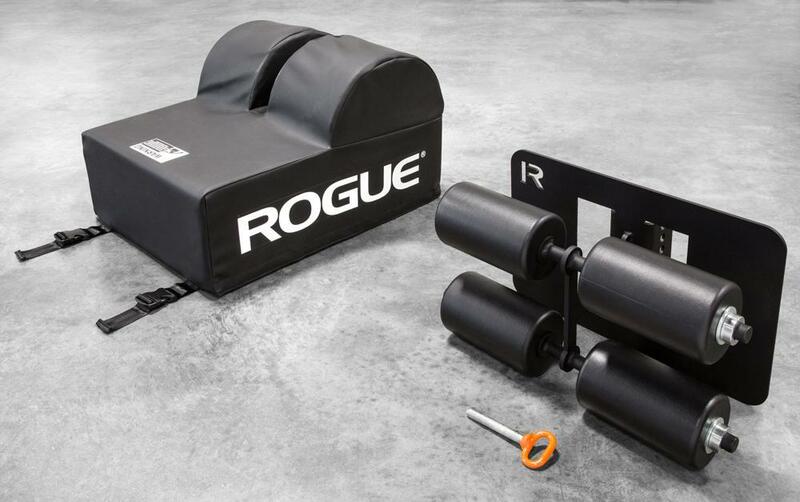 Rogue advertises it as fitting any R-Series (ie: Infinity Series) rack or any Monster Lite series rack or rig. What this really means is it will fit any brand of rack with 2″x3″ or 3″x3″ uprights and 5/8″ holes. 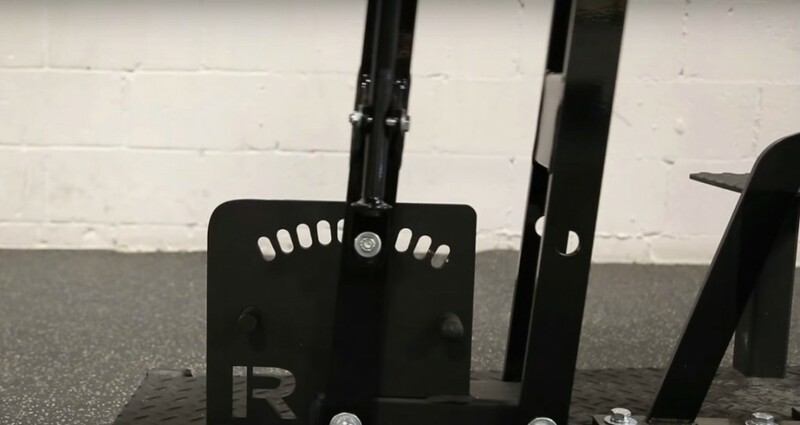 See our power rack attachments compatibility guide. Make sure you get the right version of the Echo GHD: They have one to fit on 2″x3″ tubing and one to fit on 3″x3″ tubing. If you don’t have such a rack, you could spend another $52 for The Strip, above, which is a piece of tubing you bolt onto your wall. But the low price is what’s good about the Echo, and that extra $52 is not making this look very attractive if the only thing you’ll be using The Strip for is this unit. Other handy attachments for The Strip are a landmine, dip handles, and plate storage pegs. Now for the hip pad. 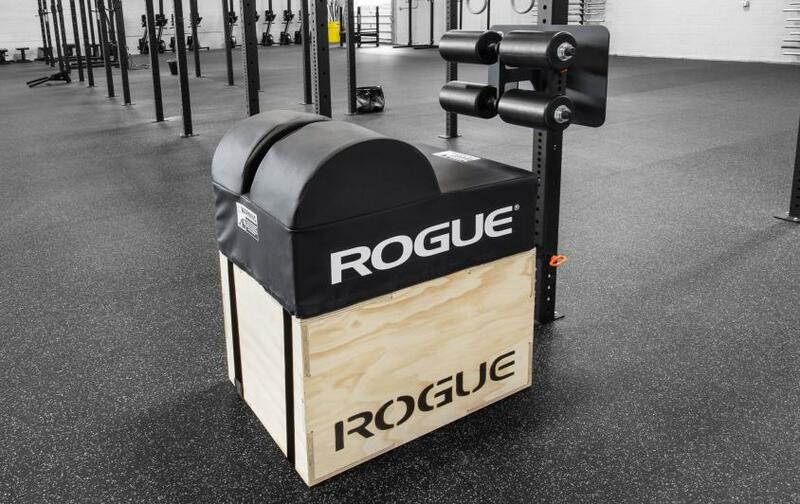 It is designed to strap down onto a 20″x24″x30″ cube plyo box. Rogue calls theirs the Games Box. Any other wood or soft plyo cube of that size will work fine. As you can see below, sit ups in particular cause the unit to slide. 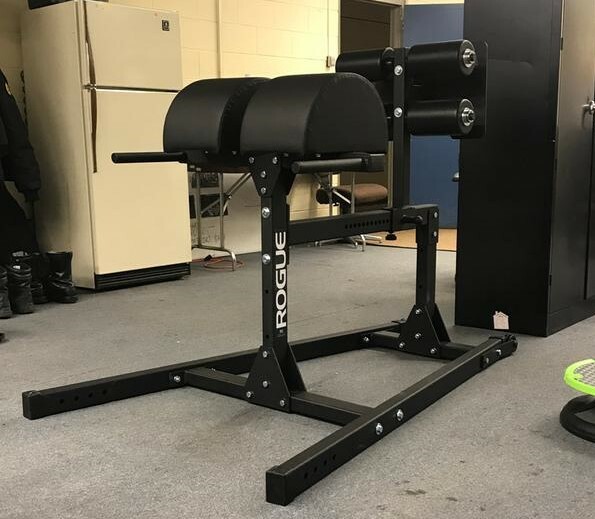 Rogue’s solution is a $35 stabilizer bar to hold the unit away from the upright. It’s a little annoying to install each time, having to get the unit just the right distance away to get the hole lined up on your upright. Is the Echo GHD worth considering? No, in most cases you have better options for a GHD for the price. You really like saving on space and are willing to spend the time setting it up each time. My personal preference would be the Rogue Abram. The main reason is the smoother and quality-feeling horizontal adjustment over the GH-1. If all I were going to use it for is glute ham raises, and nobody else was going to use it and need adjustments, then the GH-1 would be absolutely fine. It can feel just as solid as the Abram. Add the $36.50 wheels to the GH-1, when the Abram has wheels included, and you’re saving less money with the GH-1. The Echo is a pain to set up and would constantly be in the way. The Monster unit is sweet but is more GHD than I could appreciate. The only real drawback to the Abram is the lack of a step-up plate. I don’t care. 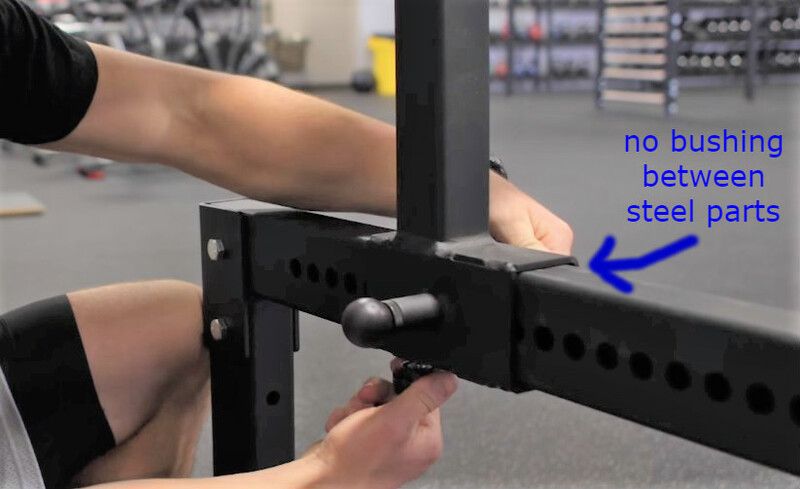 Anyone with bad enough mobility issues to need a step-up plate should not be trying to climb onto any GHD at all. It only makes it a little safer.